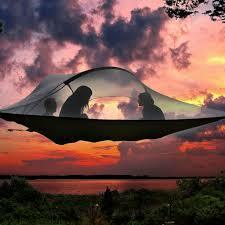 A triangular hammock with a screened top to keep the bugs out. Three ropes that attach to three trees to elevate it. The elevated hammock holds up to three people.